Trilink F6C cable connectors are designed for FinMark coaxial cables of 6 series (F660, F690, RG-6 of same diameter). F6C connectors are designed for critical areas of cable TV networks, headend connections, sub trunk areas, and for DOCSIS cable modems.Nickel-plated brass ensures a reliable contact and corrosion resistance. Cut the cable using the Cut the cable using the НТ-332 tool. A few turns of the tool will be enough for cutting the cable on desired distance. The knife should not reach (touch) cable braid and conductor. To avoid the blades damage, do not use force. The cable coating is easily removed by hand in half turn. Using the nipper remove the outer peace of coating. Make sure that there is no rests of foil and wire, which may cause short circuits. In case of НТ-332, tool absence you can use the ordinary knife. Remove 7-8 mm of coating from the conductor and 6-7 mm of the outer shell. Roll the braid over the outer shell and mount the connector. Make sure of reliable connection between the connector and cable. Central conductor must be 1 mm longer than the conductor hub. Fix the connector using the special crimping tool. 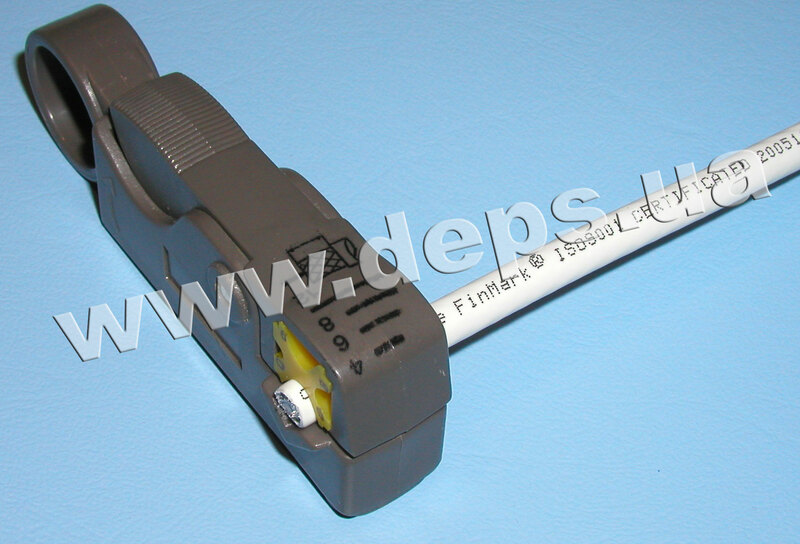 Make sure of size compatibility of crimping tool to the type of connector. For Trilink F6C connectors use 0.322 – 0.324 inch tool. If its necessary- cut the protruding conductor end using the nippers. Now cable is ready for work with CaTV equipment.